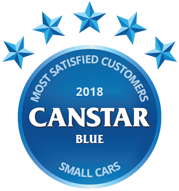 Compare small cars from Ford, Holden, Honda, Hyundai, Kia, Mazda, Suzuki, Toyota and Volkswagen on a range of factors including point of sale service, driving experience, reliability, after sale service, value for money and car servicing, as well as overall satisfaction. With small cars becoming a favourite for Australian drivers, the market has become increasingly competitive for car brands. This year, Suzuki has taken out top spot in our review, scoring five stars over a range of categories, including overall satisfaction. Narrowing down the car market to find your new set of wheels can be a bit of daunting experience, as the range of models and brands on offer can either be a nightmare or a dream, depending on how much you know about cars. 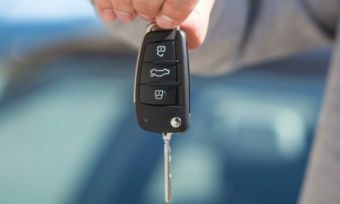 For many, a new car means excitement, as well as a huge financial responsibility, meaning that drivers are on the hunt for not only good deals, but something that they can enjoy every time they put the key in the ignition. It seems that Australians have found just the brand to do that, with our small car category won by a familiar face in 2018. Each year, we survey hundreds of Australian motorists who have recently bought and driven a new small car – including hatchbacks – so we can learn about their experiences and pass the feedback on to you. If you’re thinking about buying a small car, you’ve come to the right place. This year, more than 600 small car owners have taken part in our research, rating their new wheels on factors such as reliability, driving experiences and value for money, to help you make a better-informed decision about your next car. Suzuki has been crowned king of the small car category for a third year in a row, which is no small feat in a hotly contested category for the manufacturers. Nine well-known brands feature in this year’s review, but Suzuki was a standout performer. Suzuki was the clear winner, retaining top spot for the third year in a row, with five stars for overall satisfaction, in addition to driving experience reliability and value for money. Holden, Honda, Hyundai, Kia, Mazda and Volkswagen scored four stars for overall satisfaction. Mazda was arguably the pick of the bunch with five stars in most research categories, such as point of sale service and reliability. Ford and Toyota round out the results with three stars for overall satisfaction, with both scoring a mix of three and four stars across all categories. Standing on the top spot by itself this year, Suzuki’s small cars are clearly a favourite with Aussie motorists. But it still pays to do your research and find the right set of wheels for your needs and budget. Our research found that motorists spent an average of $23,000 on small cars bought in the last three years – and while nine out of ten survey respondents (92%) declared themselves happy with the deal they got, it’s still a lot of money! You’ll want to make the right decision, so to help you along the way, here is a guide to the car brands in this year’s review and what they have to offer. A giant in the small car community, Suzuki has well and truly established itself as a leader of the pack. Scoring five stars for overall satisfaction, as well as reliability, value for money and driving experience, Suzuki will be hard to knock off its perch. 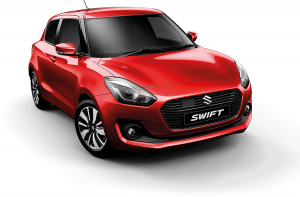 With a wide range of small car models, including the classic Swift and Swift Sport models, as well as the new Baleno model, Suzuki gives motorists plenty of options when looking for an economical little runaround. New Swift models are released almost yearly, with a 2019 update set to be revealed later in the year. Suzuki also scored four stars for car servicing, as well as rating three stars for point of sale service and after sale service. Another fan favourite, Holden has become known for more than just V8 models, with its small car range winning over many local motorists. 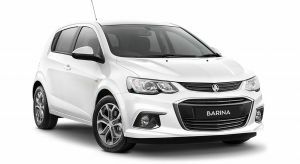 With popular models such as the Spark, Barina and classic Astra, it’s not hard to see why some Aussie drivers consider Holden for their small car needs. Holden scored a four star rating for overall satisfaction this year but excelled with top marks for both after sale service and car servicing – a strong endorsement of the brand in this regard. Other results include four stars for point of sale service, driving experience and reliability, while only scoring three stars for value for money. While Holden is no longer manufacturing in Australia, motorists will still be treated to the latest models, with small cars slated for reveal later this year. While it might not offer a lot of variety for small car enthusiasts, Honda has clearly gone for quality over quantity, with the Japanese manufacturer’s Jazz model a hit with Aussie motorists. Scoring four stars for overall satisfaction, Honda was also rated four stars for driving experience and car servicing, while only scoring three stars in the remaining categories. For those looking for a different option, or those more environmentally-inclined, Honda are set to release a fully-electric small car in 2019, which will no doubt excite many. One of the most consistent brands over all categories, Hyundai scored a four star rating for overall satisfaction, only falling down to three stars in the point of sale category, an obvious indicator that Hyundai is considered a solid option by many Australian motorists. 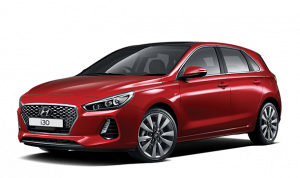 Offering the popular i30 and the Ascent models for small car enthusiasts, Hyundai has steadily become more popular in recent years after the Korean company re-branded as a high-quality manufacturer. There is no news on upcoming releases for its small cars, with Hyundai instead choosing to focus on its SUV line for the foreseeable future. 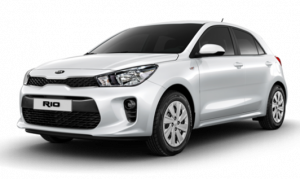 Best-known for its Rio models, Kia has diversified its small car line-up in recent times, also adding in the Picanto and Cerato models to bolster the ranks. While not as popular as some other manufacturers in Australia in terms of overall car sales, Kia has earned four stars for overall satisfaction while claiming a very impressive five star rating for value for money – Suzuki being the only other brand to do so. Other results include four stars for point of sale service, driving experience and reliability, as well as three stars for after sale service and car servicing. Similar to Hyundai, Kia has no plans to unveil new small cars, with sedans and SUVs seemingly becoming the company’s main focus for 2019. Last year’s joint winner, Mazda has been beaten at the finish line in 2018, but still performed very well across the board. With four stars for overall satisfaction, Mazda was the only brand to score five stars for point of sale service – a great achievement – while also earning top marks for reliability, after sales service and car servicing, so very strong in the areas relating to customer care. It was four stars in all other categories. 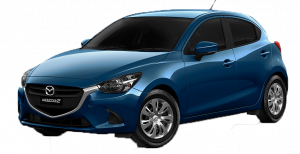 With the popular Mazda 2 the flagship for the Japanese company within the small car market, Mazda looks set to keep it that way with no news in regards to new additions or models. There has been recent news of electric models in the next few years, although nothing has been confirmed. 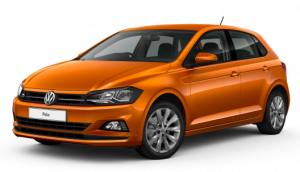 You’d be hard pressed stepping out onto the streets of Australia and not seeing a small Volkswagen car, with the German brand exploding in popularity in the past decade, well and truly cementing itself in the small car market with the Golf, Polo and Beetle models. Scoring five stars for driving experience, as well as four stars for overall satisfaction, motorists are obviously impressed with what Volkswagen now has to offer. Volkswagen has announced a new Golf to be unveiled in 2019, as well as the strong possibility that the popular Beetle will undergo a transformation to become a fully-electric model. Volkswagen also got four stars for point of sale service, reliability, after sale service and value for money, while scoring just three stars for car servicing. Posting similar results from last year’s survey, Ford has remained a consistent option for motorists, with a small car range consisting of the popular Focus and Fiesta models. While it might not have anything in the pipeline for new releases, the latest Focus and Fiesta models will still give motorists plenty of thrills. Scoring three stars for overall satisfaction, Ford was given four stars in terms of after sale service and car servicing, while only scoring three stars for point of sale service, driving experience, reliability and value for money. A popular option for motorists across all car types, Toyota has managed to make itself part of the furniture when it comes to the motoring community. 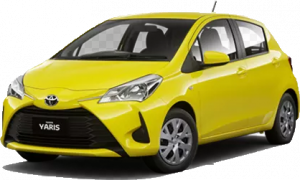 In terms of small cars, the popular Yaris and Corolla models have enjoyed years of success, with the latest Prius C allowing drivers to enjoy an energy-efficient small car. Despite its rich history in Australia, Toyota was only rated three stars for overall satisfaction, as well as three stars for point of sale service, driving experience and value for money. It did, however, score a creditable four stars for reliability, after sales service and servicing. While overshadowed by a range of new cars, a new Corolla model was also showcased at the recent Geneva Motor Show. Is a small car the best fit for me? Choosing which car to drive off into the sunset in can be quite a personal choice, as all motorists have their own different driving styles and preferences. 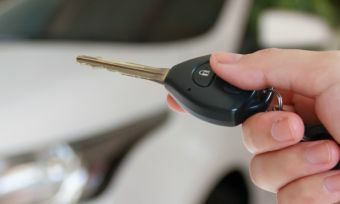 The decision to go with a small car is a popular one, with many Australian drivers choosing to scale back in size to maximise on fuel and running costs. Price was the biggest influencer for those purchasing a new small car, with 27% of respondents to our survey making their decision based on the bottom line, while 24% were influenced by the running costs – comfortably the two most significant purchase factors. 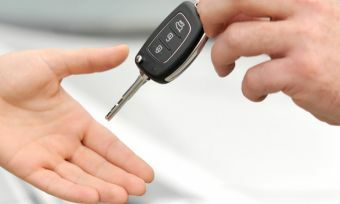 Ultimately there’s a lot to consider when it comes to buying a new small car, as the number of brands, models and additional extras make it a bit confusing, as well as stressful. As a result, it’s recommended to shop around, and to visit as many dealerships as possible to find the best fit for you. With small cars increasing in popularity, you’ll no doubt find a good fit for you, as well as a great deal if you know where to look. Canstar Blue surveyed 9,000 Australian adults across a range of categories to measure and track customer satisfaction, via ISO 26362 accredited research panels managed by Qualtrics. 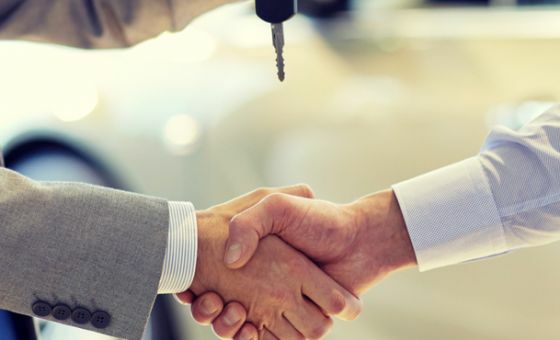 The outcomes reported are the results from customers within the survey group who have purchased a new small car from a dealership in the last three years – in this case, 631 people.